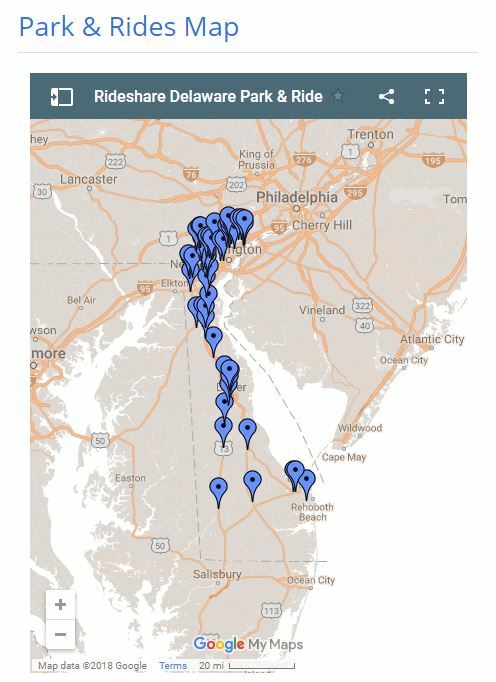 You may have heard about the Delaware Ride Share Program. Any one who lives, works or goes to school in Delaware may join and they will pair those drivers seeking car pools. They will also introduce cyclists traveling the same or similar routes should you be more comfortable traveling with others. Have you thought about commuting by bike but worry about emergencies that might arise or unexpected weather problems that might arise during the day? One great feature of the program is the Guaranteed Ride Home feature. Participants are entitled to five (5) emergency rides home per year. (No, they don’t pick you up with a tandem.) If public transportation isn’t available, you can take a taxi, Uber or Lyft home and the program will reimburse your costs. Whether the taxi, Uber or Lyft can take your bike home with you depends on the taxi, Uber or Lyft you contact. You need to register for the program and you need to read the program specifics in the menu to the left on the home page which contains the Guidelines and How to Use information. ← Message From the President – WCBC VIP Night a Success!